Couple supports field camp experiences for geology and geophysics majors. 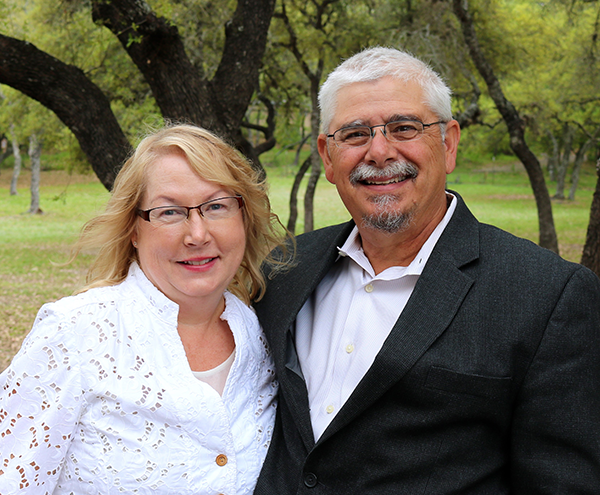 A love for travel, geology and Texas A&M University led Vivian and Tim Powell ’79 to make the first contribution toward a $5 million Field Camp Endowment the College of Geosciences hopes to fund over the course of the Lead by Example campaign. The couple gave $100,000 to support undergraduate fieldwork, travel costs, equipment and program-activity expenditures associated with field camp, a required travel course for all undergraduates in the Department of Geology and Geophysics. During the course, students spend two to six weeks in places like Big Bend, the Guadalupe Mountains, Colorado, New Mexico and Montana learning to map various geological aspects. Fieldwork develops many skills in students, including the ability to observe the subtle aspects of geologic formations, structures and rock compositions. “These skills are important in recognizing patterns in geologic and geophysical interpretations throughout a geoscientist’s career,” said Tim. Students are also able to take clues from geologic formation outcrops to understand subsurface structure, paleo-depositional environments and past geologic history. Ample funding is required to support field camp supplies, camping, lodging and transportation. The Powells hope their gift will enable more students to gain a quality field camp experience with the right tools and accommodations while keeping costs within reason. Tim graduated with a degree in geology and retired from Devon Energy Co. in 2015 as vice president of exploration. He is currently president of Powell Xploration LLC, an oil and gas consulting company, and credits the College of Geosciences for giving him a head start and a strong foundation for a career in the oil and gas industry. Currently he is involved with the college’s advisory committee and is working with geoscience graduate students on the Imperial Barrel Award, an annual worldwide prospective basin evaluation competition. Vivian is a retired hairdresser and spends much of her time scrapbooking and tending to grandkids. Their children Gary ’08 and Natalie ’05 graduated with degrees in construction science and biomedical science, respectively. During their free time, the couple enjoys traveling—another reason field camp resonates with them. When completed, the $5 million field camp endowment will help the College of Geosciences maintain and increase the quality of tools and facilities available for the program. To support field camp experiences in the College of Geosciences, contact Cara Milligan ’08, senior director of development, at cmilligan@txamfoundation.com or (979) 862-4944.